Refurbished in 2014, new carpet and reupholstered seats in February 2018. 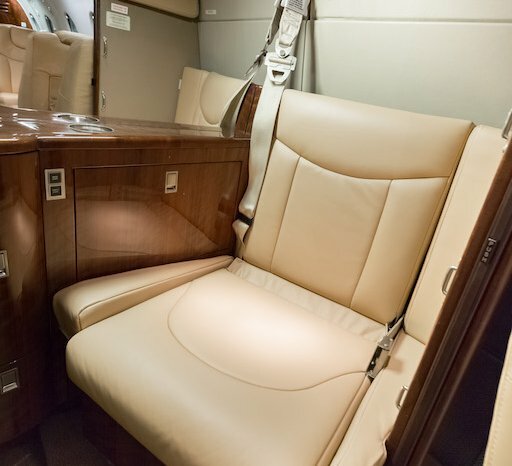 Seven passenger interior is a center club configuration in overall tan scheme. Woodwork is completed in high gloss oak veneer with antique bronze plating. Additional cabin amenities include Airshow, mini galley with ice bin, and aft enclosed lavatory.